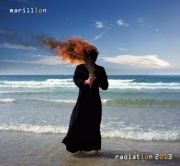 Madfish Music will release Marillion‘s tenth studio album, Radiation, as a 2CD deluxe edition on 15th April 2013. The 2013 edition will feature new artwork by original designer Carl Glover, a newly remixed and remastered version by Michael Hunter, as well as the 1998 original, mixed by Stewart Every. This entry was posted in News, Prog Rock, Re-Releases. Bookmark the permalink.